This occurs when consuming a good cause either a positive or negative externality to a third party. Taking medicine which prevents spread of infectious disease. 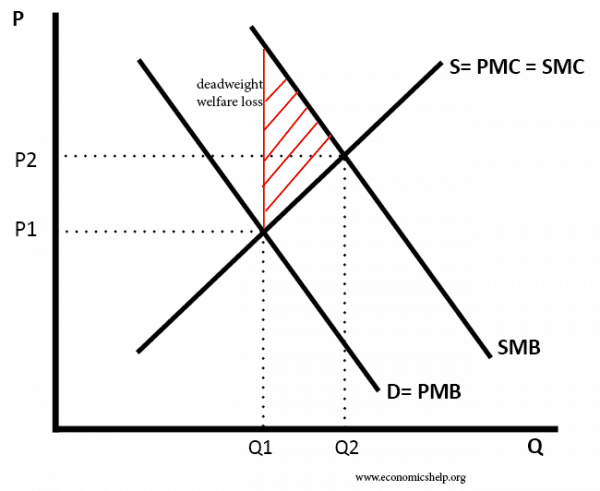 In a free market, there will be under-consumption of goods with positive consumption externalities. Consuming a good causes a harmful effect on third parties. 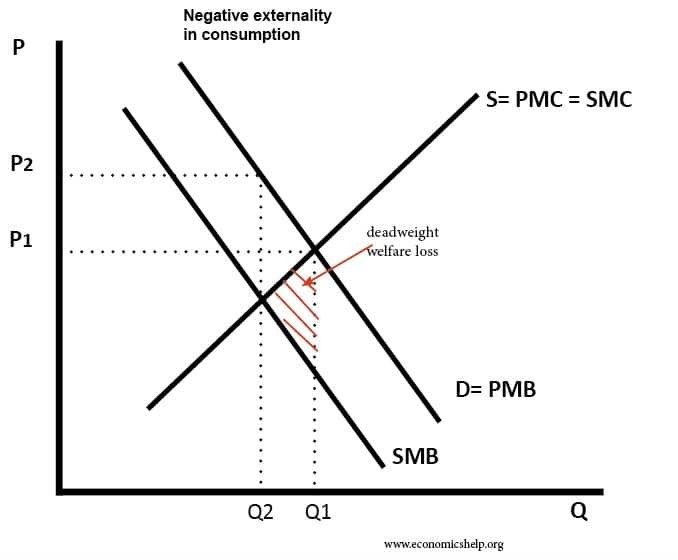 In this case, there will be over-consumption of goods with negative consumption externalities in a free market. e.g. smoking causes harmful effect to those who breathe in your smoke.